Lions and tigers and bears….oh my! 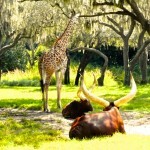 If you are spending the day at the Animal Kingdom, one thing you do not want to miss is the Kilimanjaro Safari. Ok, so you will not see tigers or bears on this excursion, but there is a really good chance that you will will see lions sitting atop pride rock. 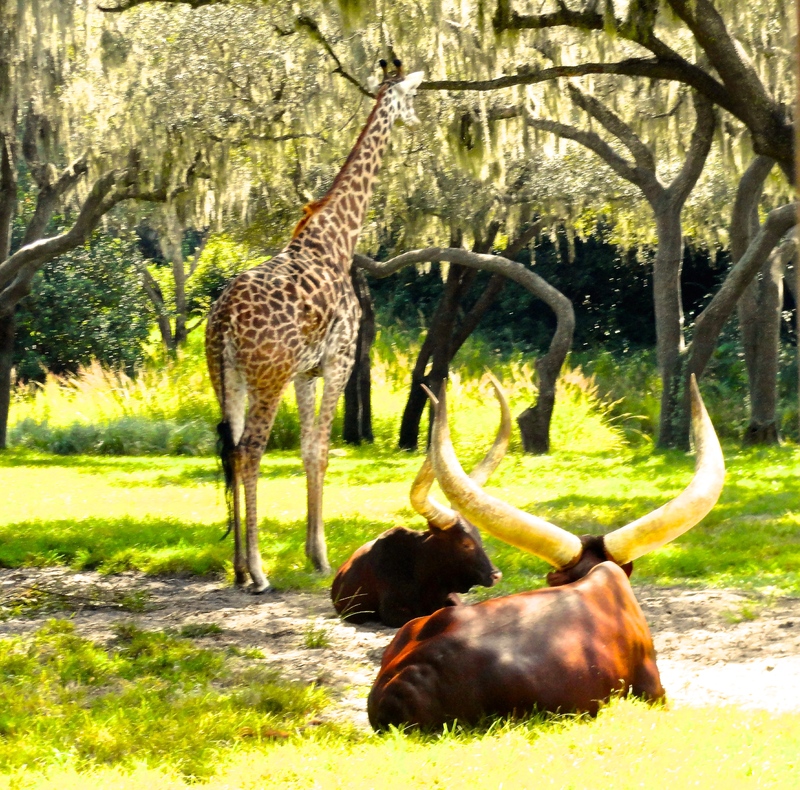 Climb aboard an open-air safari vehicle as your African safari journey ventures out into the 110-acre Savannah of east Africa. 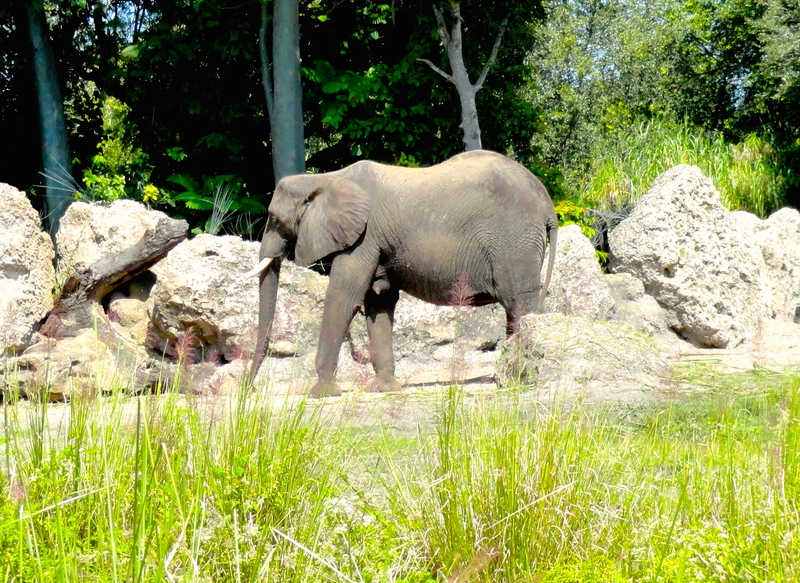 During this 20 minute expedition into the Harambe Wildlife Reserve, your Disney tour guide will direct your attention to over 34 different species who are roaming free in a replica of their natural habitat. As you travel over rugged terrain, you feel as though you are right in the center of their habitats. Not to worry though, Disney has done a wonderful job of creating almost invisible barriers between man and beast in the creation of this animal sanctuary dedicated to the preservation of these amazing animals. 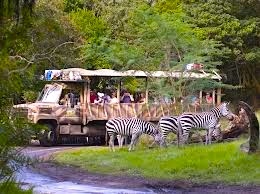 While your guide will point out some of the animals you see on your excursion, the dash of every row on your open-air vehicle also offers a guide to its guests. 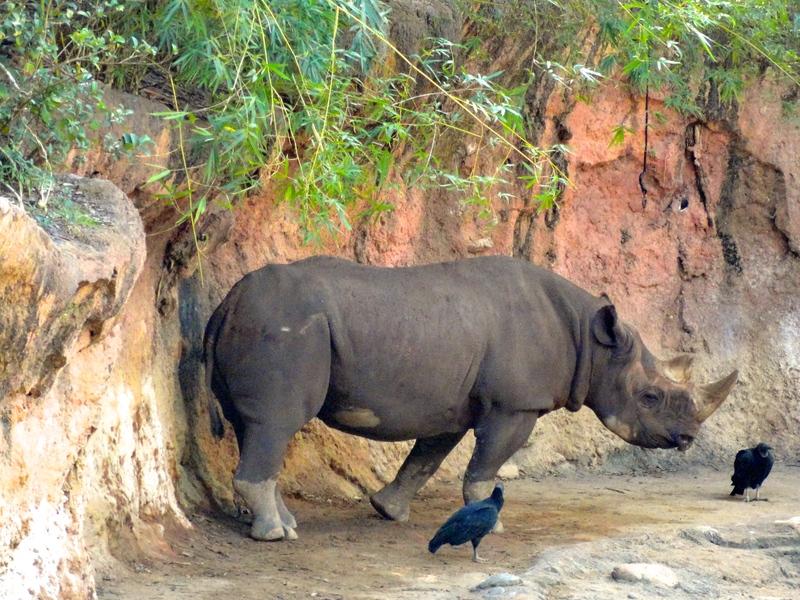 Some of the animals you may encounter on your African safari include black rhinos, giraffes, elephants, gazelles, lions, hippos, crocodiles, cheetahs, warthogs, wildebeasts, ostrich, flamingos, and white rhinos. 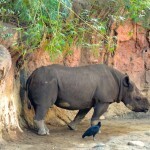 Have your cameras ready because you never know what you are going to see right in front of you. Each and every safari offers guests a different experience and don’t be surprised if some of the animals come right up to the vehicle to get a glimpse of the humans that are on display. 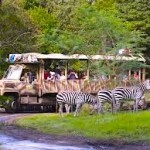 The best time to do you Safari excursion is either early in the morning or late in the afternoon as the animals seem to be a little more active during these times and guests are likely to see more action. This ride is very popular so it is best to include it in your Fastpass+ to avoid long waits. 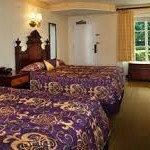 Looking for a great place to stay on the WDW property? 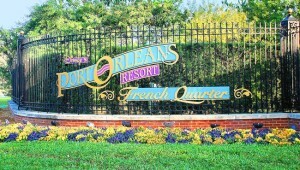 Look no further than the Port Orleans French Quarter. I have stayed at all of the moderate resorts on the property and this one is my favorite by far. With it’s large carnival masks, wrought iron appointments and cobblestone streets you’ll feel like you just stepped into the Big Easy. This property is small in comparison to some of Disney’s other resorts but I like that it adds to the quaintness. Don’t let the size fool you, this property is chock full of all the pageantry and amenities that only Disney can do. Consisting of over 1,000 recently renovated rooms, the property offers 7 three-story buildings that are reminiscent of New Orlean’s Vieux Carre with their pink and blue hues, wrought iron balconies and gas lampposts. While there are no suites at the French Quarter, guests find the 315 sq. ft rooms to be quite comfortable and the resort offers 4 types of rooms: Standard view, Garden view, River view and Pool view. In all honesty, buildings 1 and 7 tend to be more quiet than buildings 2-6 because of their location on the ends of the property. Also, building 7 is the closest one to the sister property, Port Orleans Riverside which makes access simple. Looking to get away from the crowds for some downtime? The pools at the French Quarter are a great place to go. 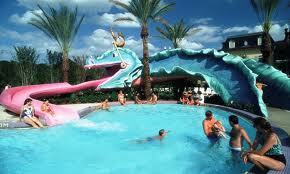 Escape the crowds and cool off at Doubloon Lagoon where every day is Mardi Gras. 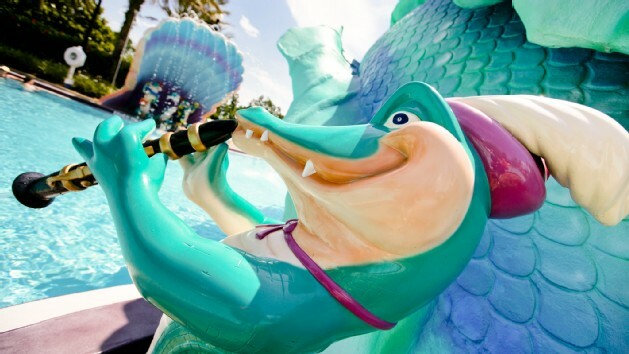 Meet Scales, the 51-foot sea serpent waterslide who puts you in the lagoon as King Neptune supervises from high atop of his head. The alligator jazz band offers a bit of authentic New Orleans tunes while you sip frozen libations from Mardi Grogs, the poolside bar. Hungry? 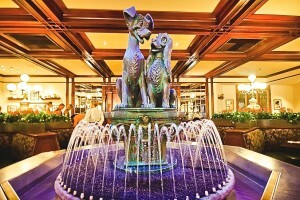 Port Orleans French Quarter has the Sassagoula Floatworks and Food Factory, a counter service restaurant offering traditional New Orleans cajun and creole cuisine such as gumbo, jambalaya, shrimp po’ boys. I highly recommend the beignets which are great ANY time of the day. Although the French Quarter only offers the counter service, if you are looking a full-service restaurant, venture over to the French Quarter’s sister resort, Port Orleans Riverside to dine at Boatwright’s. This resort offers many other recreational things to do as well. Busy day at the parks? Relax in the evening by taking a horse-drawn carriage ride along the scenic banks of the Sassagoula river or through the woodlands of cypress pines to the Fort Wilderness Resort& Campground. Each carriage ride is around $45 and lasts for 25 minutes. During the holiday season, this carriage ride becomes a sleigh ride – a wonderful holiday treat. Another evening activity is the Cajun Campfire. Enjoy singing songs, roasting marshmallows, and stories while sitting around a campfire along the bank of the Sassagoula. Bring something to sit on – either a blanket or a chair to cozy up to the warmth and the cracking fire. Kids really enjoy this treat! 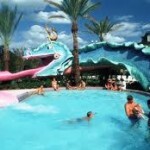 This resort is located in the Downtown Disney area and offers boat rides to and from Downtown Disney. 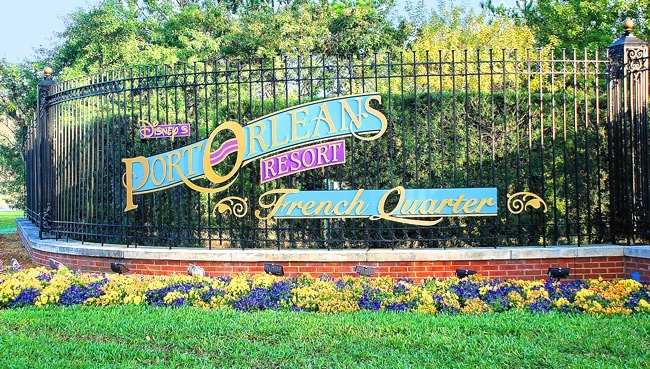 TIP: All of the amenities at the Port Orleans Resorts – French Quarter and Riverside are shared, so feel free to hop between resorts to enjoy everything they have to offer. 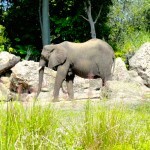 With so much to offer at the WDW resort, it is hard to know where to start. I could jump around from park to park and tell you all of my favorite rides, restaurants, shops, etc. but I am not going to. 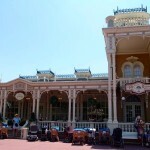 I am going to start with the Magic Kingdom – the heart and soul of the WDW resort. You know, the one with that iconic castle whose spires reach so high into the magnificent blue skies that Florida is so well known for. And what better way to start off a blog than with food – I am a huge foodie. You hungry? Good! 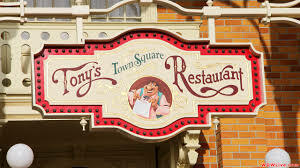 Because Tony’s Town Square Restaurant is where we are going first. My family LOVES this place! 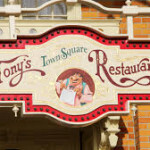 Located on Main Street, USA, this charming, casual dining restaurant offers Italian/American fare and is themed after the beloved Disney classic film, Lady and the Tramp. Adorned with a fountain of the famed characters and animated art from the movie on the walls, it is a sure crowd pleaser. This is no ordinary italian restaurant, it is a replica of the one where Lady and the Tramp had their first kiss over a plate of spaghetti and meats-a-ball . Are you singing Bella Notte in your head right now? Offering indoor and outdoor dining, this restaurant serves lunch and dinner and counts as 1 meal on your Disney Dining plan (except the quick-service plan). I recommend the calamari, eggplant catasta, the flatbreads, shrimp scampi and of course, the spaghetti and meatballs on the lunch menu. On the dinner menu, I recommend the braised short ribs, chicken parmagiana and the mushroom ravioli. And, if you still have any room after their huge portions of food, the pistachio creme brûlée and the tiramisu are absolutely delish! 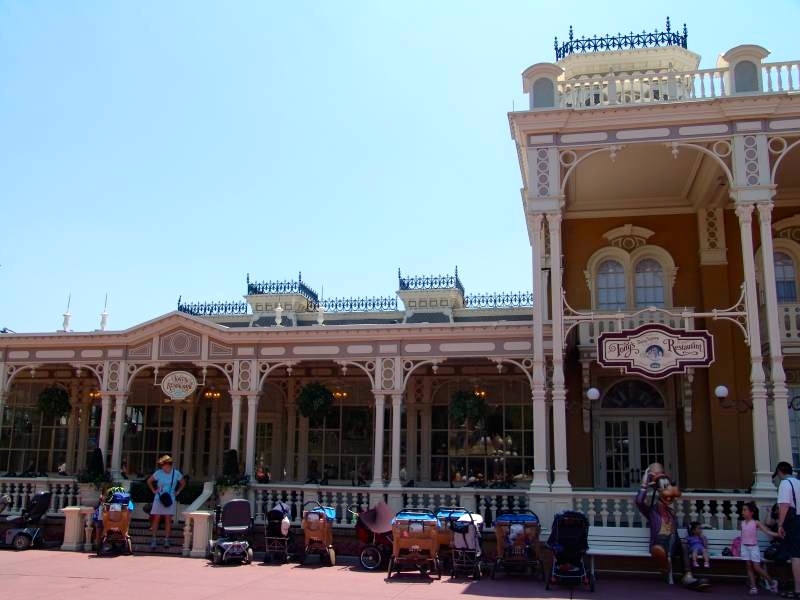 TIP – This restaurant is on the parade route. Make your outdoor reservations to coincide with the parade times and you will have the best seat in the whole park for the parade. Welcome to the Mad About The Mouse blog. ºoº Anybody who knows me, knows that I am a complete Disney World freak and a walking wealth of knowledge of Disney history. This magical world has captivated me since my first visit when I was only 19 months old in 1971, the year the Magic Kingdom opened. With over 200 visits (I might be closer to 300 but I stopped counting a few years ago) to the Walt Disney World Resort in my life, I feel like I grew up there. In essence, I kind of did….from childhood, to the teenage years, into adulthood and now with a child of my own to share the magic with, Disney is a huge part of my world. There’s just no other way to say it – it truly is the most “Magical Place on Earth” and there is no place I would rather vacation than the Walt Disney World Resort. It is a pleasure to share my experiences, my knowledge and some planning tips with you. With 42,000 acres of magic, 4 theme parks, 2 water parks. 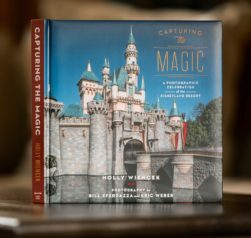 24 themed resorts, 100 restaurants, Downtown Disney and other recreational and entertainment venues, there’s always something to share with my readers. 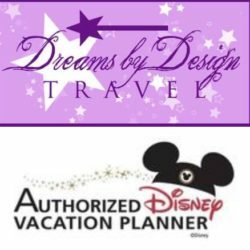 If you are planing your first visit to the most magical place on earth, planning can be a bit overwhelming. Relax – the information within this blog will help you make the plans that best suit your family’s needs. 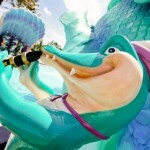 This page is designed to help you make your next trip to the Walt Disney World Resort your best trip ever. I am not affiliated with The Walt Disney Company – although that would be REALLY cool. I am however, a self-proclaimed expert, junkie, addict and all-around Disney freak. Oh and how can I forget, I have also been an Honorary Citizen of Walt Disney World since 2005. They really should hire me to sing their praises – I do it everyday anyway! Enjoy this blog, I know I thoroughly enjoy creating it and would love to hear from you about your experiences as well. Feel free to email me some of your pictures from your trip and I share them. 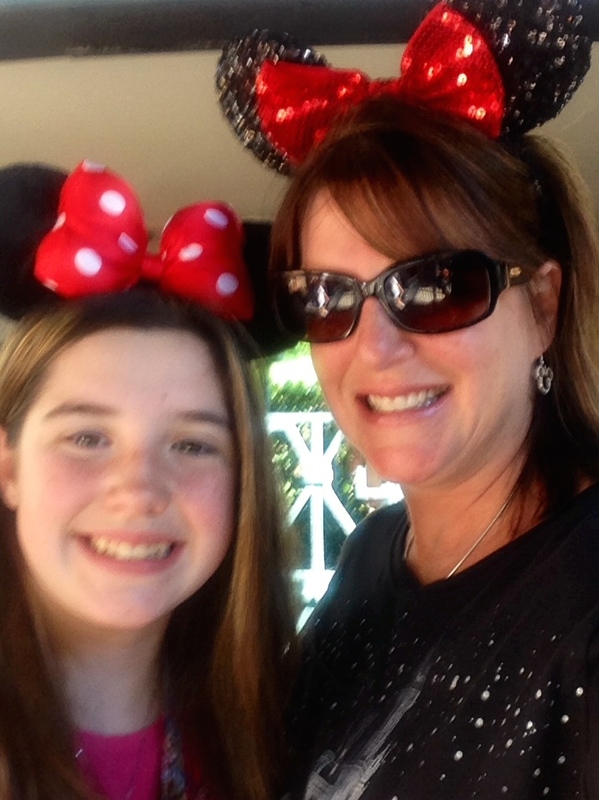 You can follow me on Twitter @disney_blogger and on Facebook at Mad about the Mouse.